Jean, I love your projects. They are all wonderful and so original! 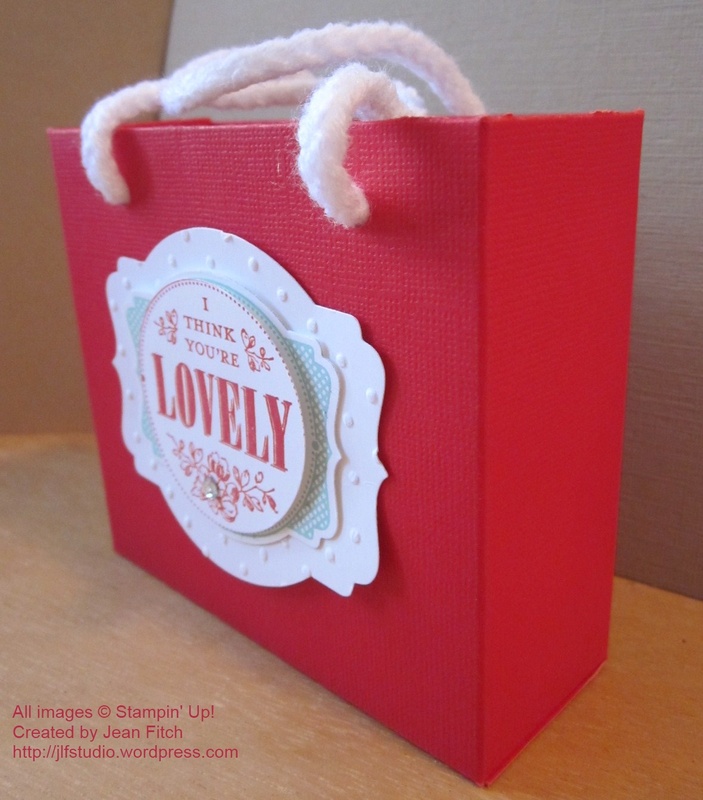 Adorable projects, Jean! I love how they all coordinate! 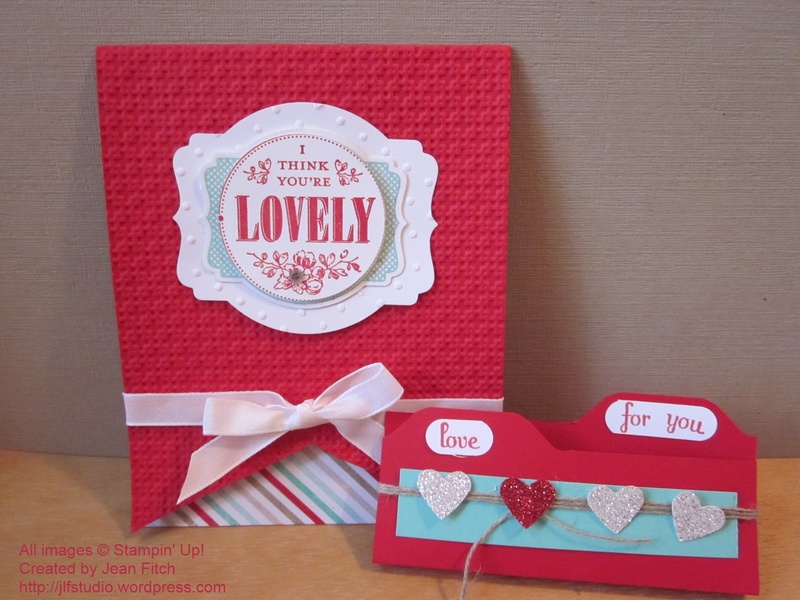 OMGosh Jean – I’m in love with every one of your projects!! And the fact that you’ve given directions on how to make them – I love you for that! 🙂 I know I’ll be making them, for sure. Wow! Jean, these are outstanding! I love the colour combo. These are definitely CASE-worthy projects. LOVE the colors – they really pop! Fabulous! Jean I will have to try every one of those projects! Thanks! I love everyone of your projects. You just did a class for me. I’m just going to change those hearts to flowers and there is my first Spring class. Great to talk to you last night, too. Bubble gum or Gumball? Love the gift trio! So cute, and the colors are so clean and nice. 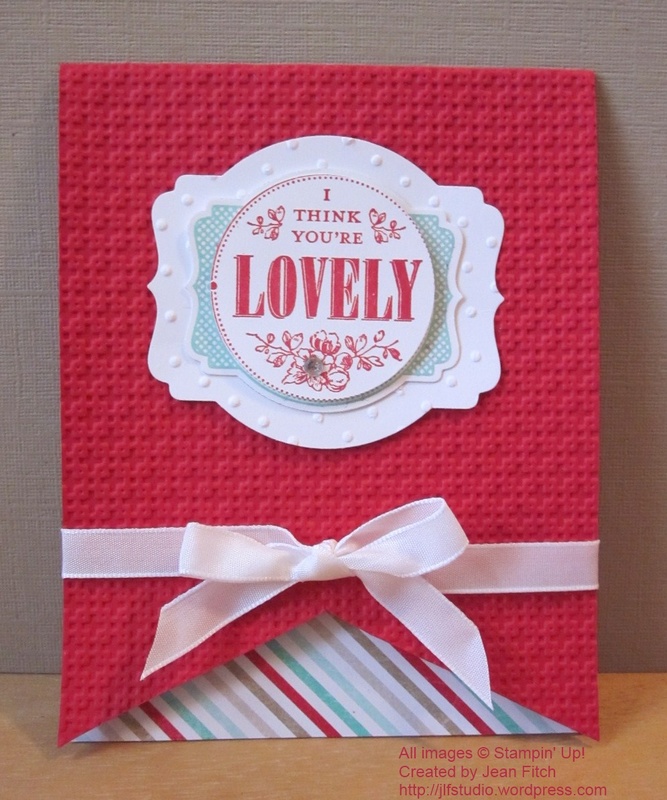 I love your color combos, I can’t wait to try some of your projects. Great projects, Jean. Love the little treat holder. 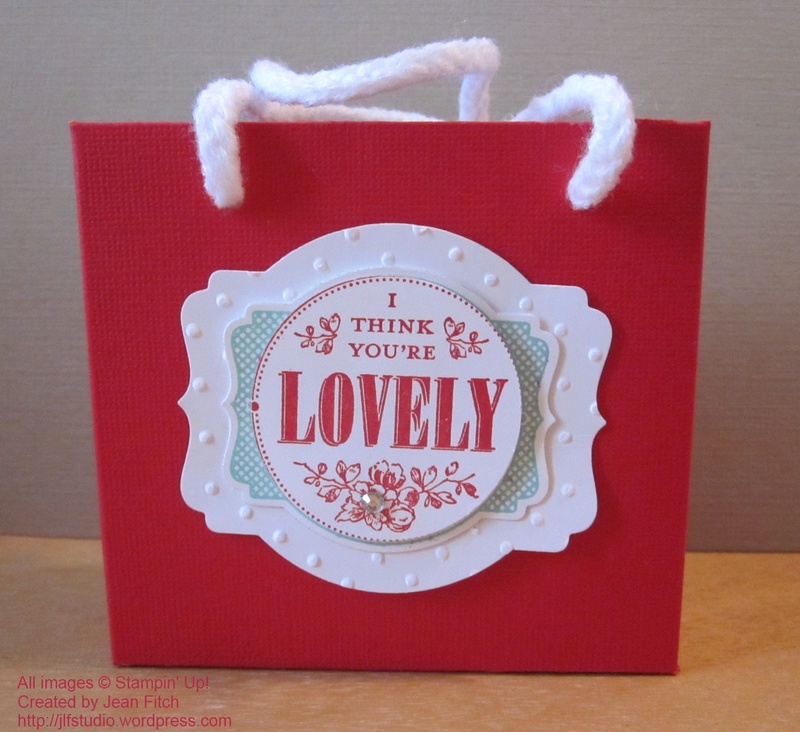 Hi Jean, it’s so great to have you blogging (and, even more importantly, back on the Internet). 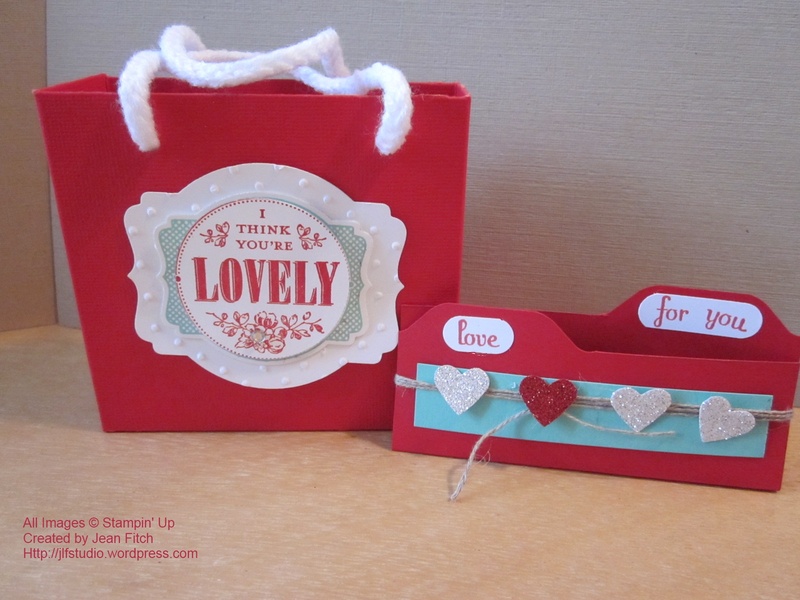 I seldom use Real Red and, looking at your projects, am wondering why. It’s a very bright and happy red, especially paired with the white and the Coastal Cabana. Lovely colour choices! (Isn’t that a perfect lead-in to your card?) Using the cut out of the front banner-cut to display that glimpse of DSP is such a tease! I love it! My retired Sweater Trim Ribbon is lying unused but now that I’ve seen your bag, I realize I’m just not giving it a chance. I have a definite CASE planned for your bag. 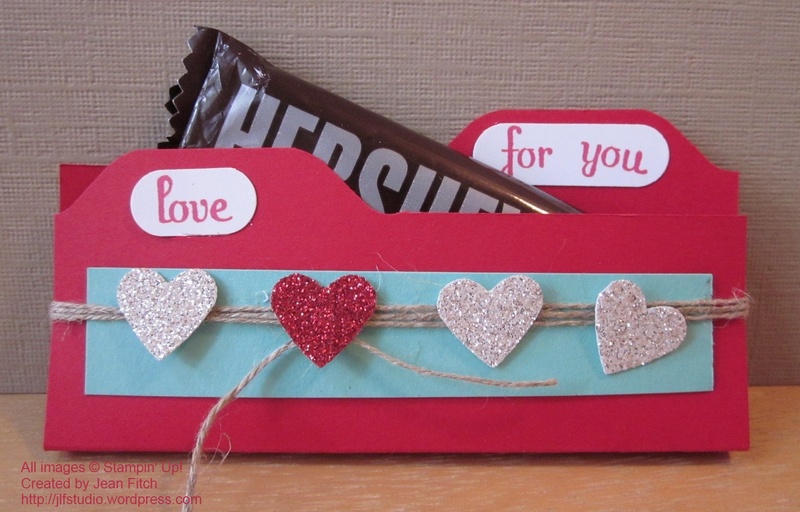 And, last but not least, that adorable little Hershey bar holder—what can I say? Another case, of course. 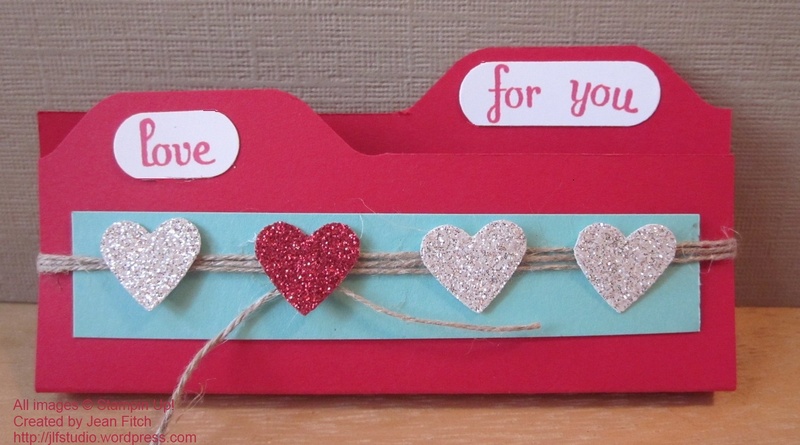 With Easter on the horizon, I may just be able to sway some people into buying one of our Envelope Punch boards once they’ve had a chance to make one of these. Great projects, especially having them all coordinated. Thanks for sharing. Gorgeous stuff! Glad to “see” you again! JEAN! go figure my computer goes pttth just as you return! 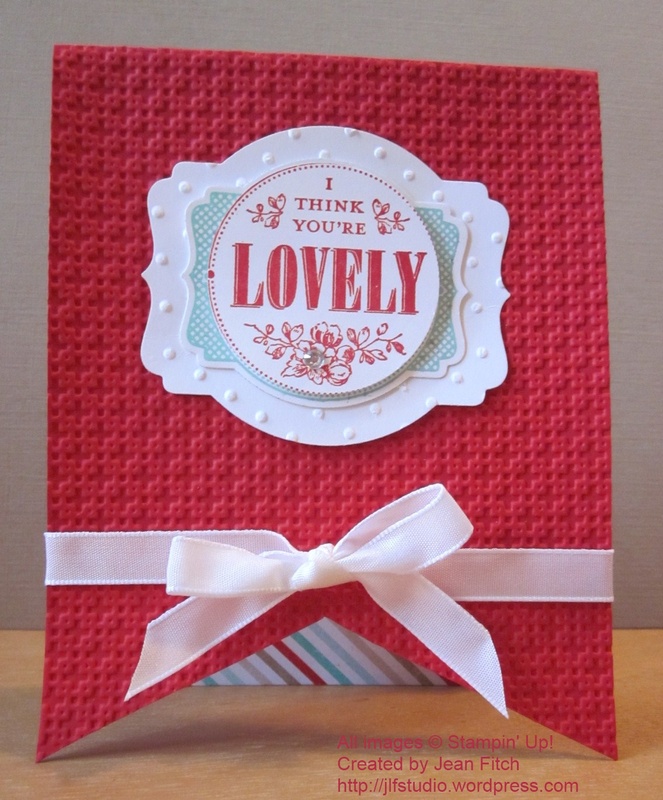 I’m sad that I missed out on the blog hop but I hope I’ll be back next time!! great projects, thanks for sharing!